Alexander McQueen has been popping up on my radar for awhile now, and when I visited SSENSE the other day,these electric pink booties jumped right off the page. 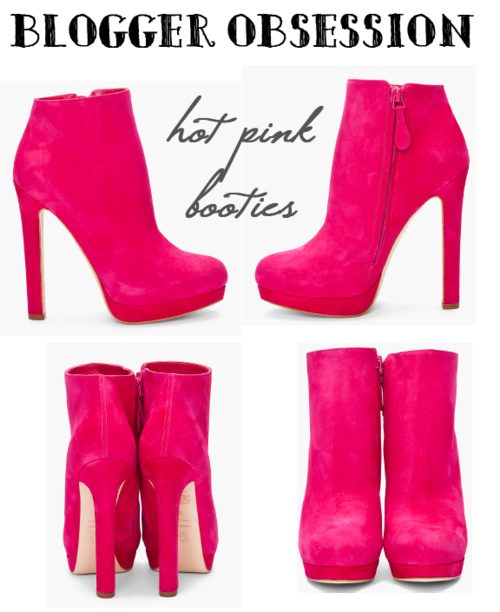 Here are two of my favorite trends incorporated into one:brights + booties. Would you wear them? I would!